Though I cut up an old purse for the faux leather, the material should also be available at your local fabric store. And wouldn't those dots look smashing in metallic paint?? 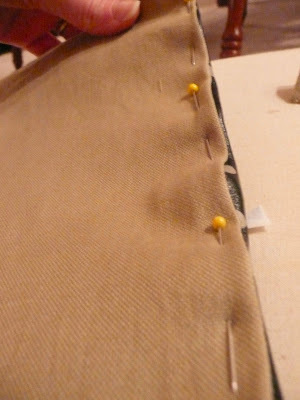 Fuse interfacing to the back of the leather. Using the pencil's eraser dipped in acrylic paint, polka dot the entire surface of the leather. Let dry. 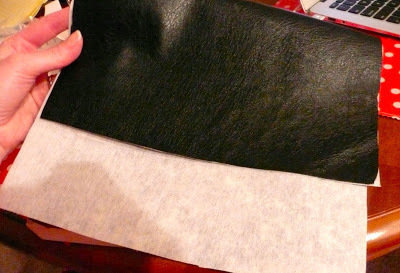 Once the paint is dry, pin leather/interfacing and lining with right sides together. 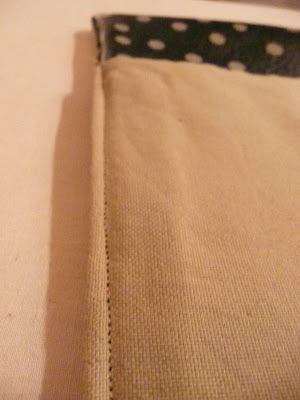 Stitch a 1/4" seam around three sides, leaving one short side open for turning. 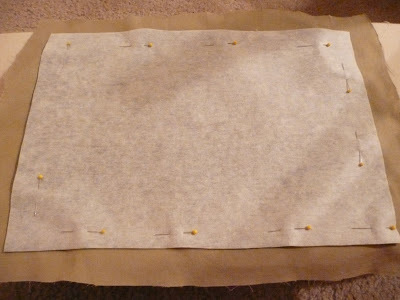 Trim sewn edges and snip corners. Turn right side out. 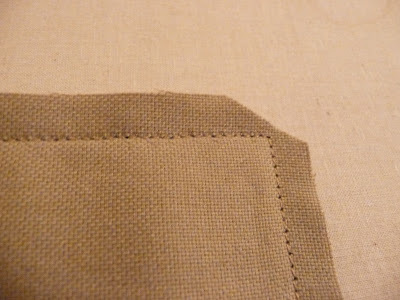 Fold under raw edges on open side, pin, and hand stitch closed. 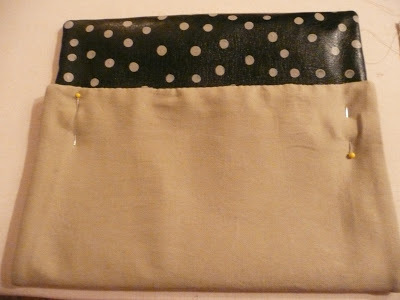 With right sides together, fold up the bottom half and pin in place. Leave about three inches exposed at the top. Stitch down the edges to complete the pouch. Turn right side out. Though you could use any kind of clasp you wanted, I used the basic snaps I had on hand. 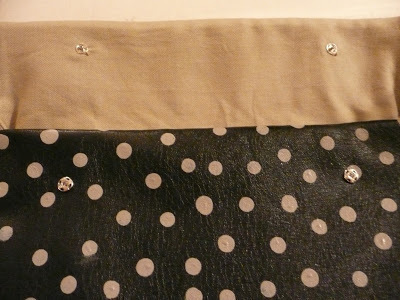 Finish with decorative buttons (or leave plain) as you wish! 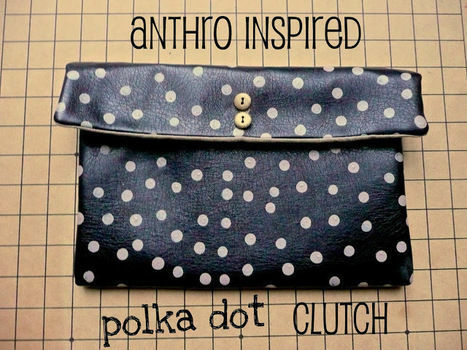 Awesome clutch! It was exactly what I've been wanting to do for a while. 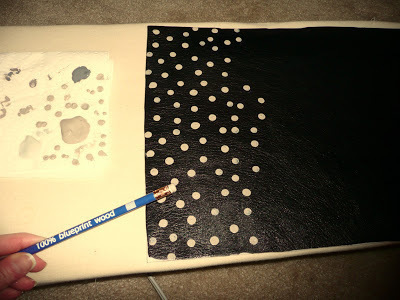 Quick question, how well did the acrylic paint hold? ?